Little helper for every day carry. Lightweight, compact with wide range of use. 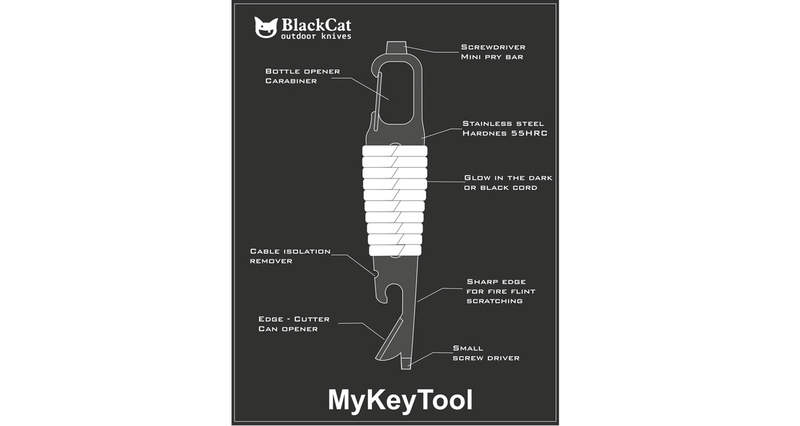 Simply MyKeyTool! 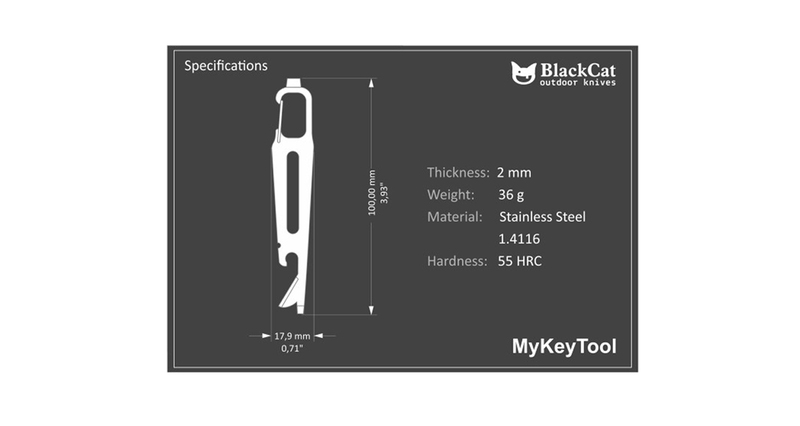 At Black Cat knives we are big fans of all kinds of blades but especially pocket tool knives. 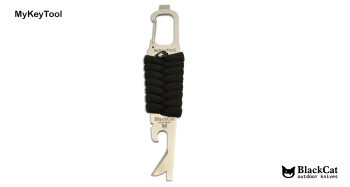 There are many single blade pocket knives on the market today. However, only few can claim to be truly multifunctional instruments. Since some countries ban carrying knives, we have decided to create a simple multi-use tool for everyday carry. We also like hiking, traveling and camping outdoors. There you need to open your canned food supplies, vacuum packaging, make the fire or cut some cords. 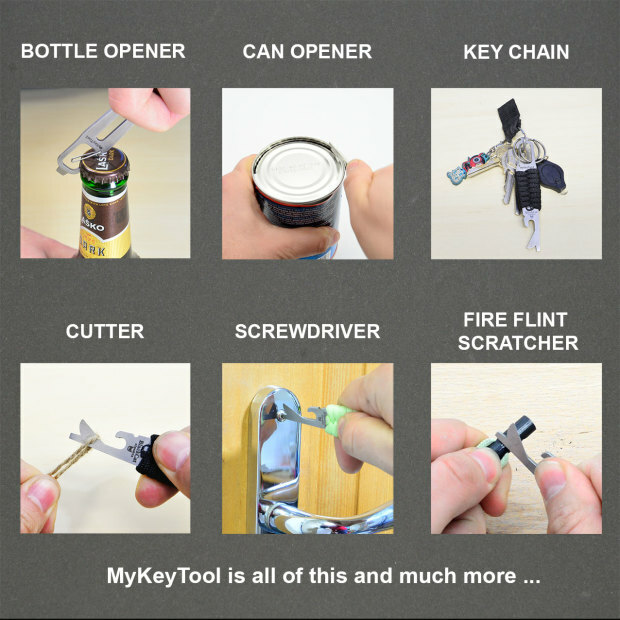 With that mind we set out to mesh all these needs into a single instrument: MyKeyTool. 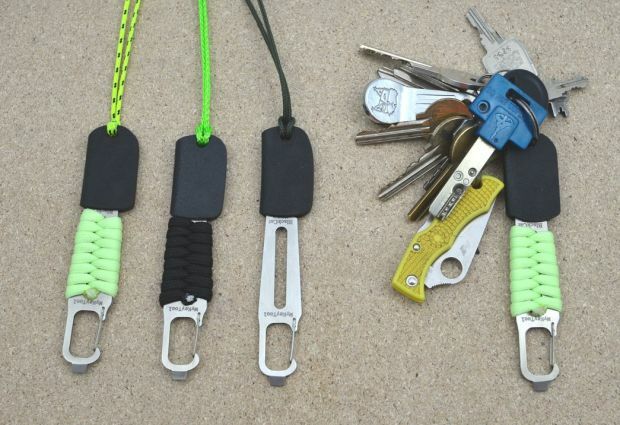 We have added screwdrivers and carabiner. 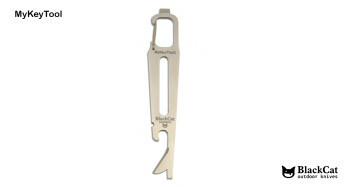 This tool comes handy when you cope with your everyday tasks. 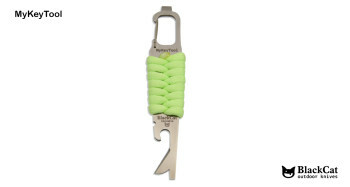 With each MyKeyTool you will receive a free Kydex sheath, which perfectly protects the sharp blade. 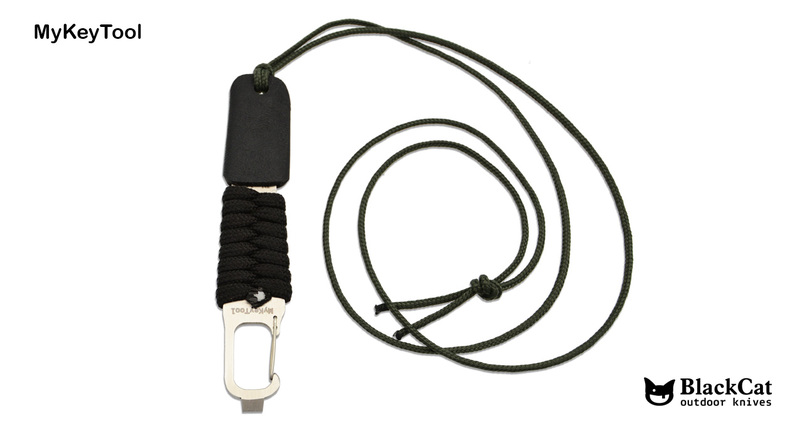 Kydex sheath will also allow you to acces the tool very quickly and you can carry It around your neck or on your keys.